Designed for ultimate fuel efficiency while staying eco-friendly, the Weil McLain Ultra Boiler exceeds the highest North American environmental air-quality standards. 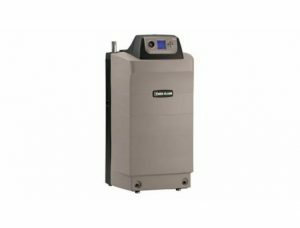 Along with durable cast aluminum heat exchanger, low-temperature condensing applications and outdoor reset, the Ultra Boiler provides the perfect heating solution and long-term warranty protection. For more information on Weil McLain boiler prices, contact us online.